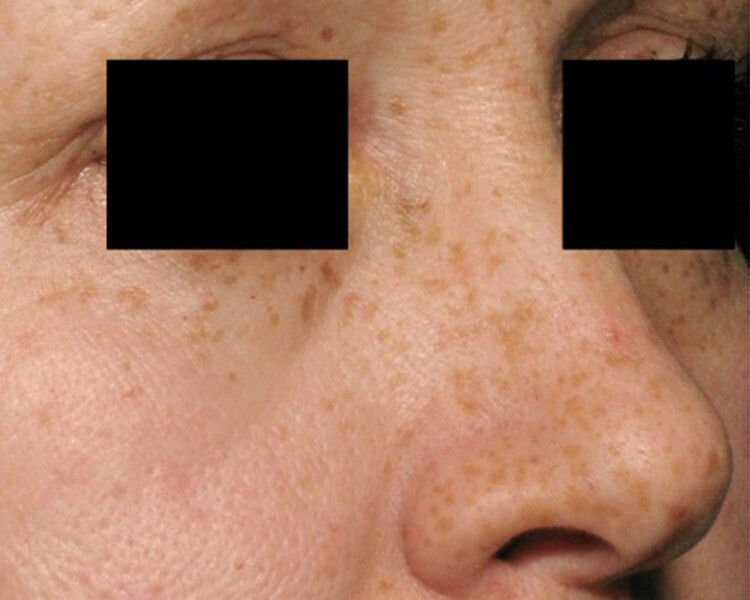 Freckles (medical term ephelides) are small flat brown marks that arise on the face and other sun exposed areas. They are most often seen in fair skinned people, especially those of Anglo-Celtic origin and those with red hair. Some darker skinned people are also genetically predisposed to getting freckles. The colour of freckles is due to skin pigment (melanin), which is produced in deep skin cells called melanocytes, spreading into the surrounding skin cells called keratinocytes. Freckles are more prominent in summer when there is more sun exposure and fade during winter. Not all freckles can be prevented, as some fair skin types will produce them regardless of any measures people take. Reduced sun exposure can help reduce the amount of freckles by using sunscreen (SPF50+), covering up with sun-protective clothing, wearing broad-brimmed hats and staying out of the strong sun. Freckles are not dangerous and do not need to be treated unless they are cosmetically not desired. It is important to note however that any brown mark on your skin that is changing should be checked for skin cancer, as it is important to distinguish between freckles and early melanoma. Freckles may fade with daily use of SPF50+. A good cosmeceutical brand such as Ultraceuticals with active ingredients such as alpha-hydroxy acids, retinol, vitamin C and other botanicals can also help fade freckles and prevent pigmentation reoccuring. Laser treatment with Picosure or IPL can have excellent results by clearing pigment from the skin with minimal downtime. 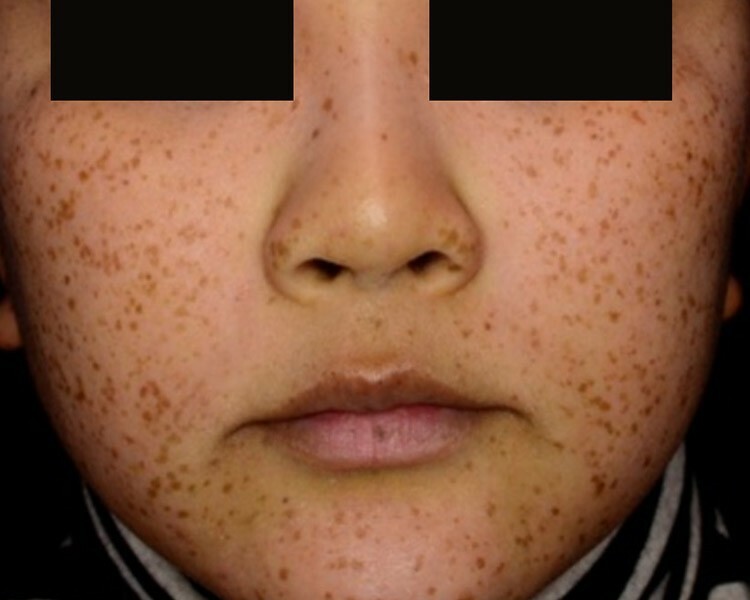 Brown spots (medical term lentigines) tend to be larger and more defined than a freckle. The are most commonly found on the face and hands. The most common type, solar lentigines, tend to arise in people from their 20’s – 30’s and become more common with age. They are more prevalent in fair skinned people who have had chronic sun exposure (sun spots). Some darker skinned people are also predisposed to getting them. The colour of brown spots (lentigines) is due to skin pigment (melanin), which is produced in deep skin cells called melanocytes, spreading into the surrounding skin cells called keratinocytes. They tend to last longer than freckles and tend not to fade during winter. How can brown spots be prevented? Reduced sun exposure can help reduce the amount of brown spots by using sunscreen (SPF50+), covering up with sun-protective clothing, wearing broad-brimmed hats and staying out of the strong sun. This needs to be done from a young age and once they appear in middle age, the chronic sun damage has already been done. How can brown spots be treated? It is very important to have a full skin check done prior to any treatment to distinguish benign brown spots (lentigines) from their more serious, cancerous counterparts called melanoma or lentigo maligna. A doctor trained in skin cancer detection will be able to do this and if there is any doubt about the brown spots, a biopsy should be taken to exclude cancer. 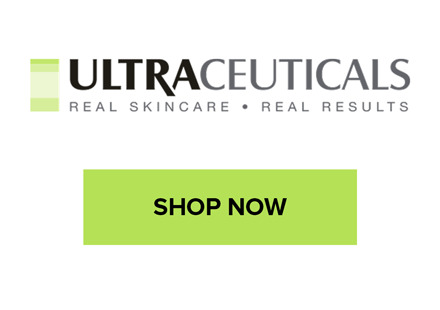 A good cosmeceutical brand such as Ultraceuticals with active ingredients such as alpha-hydroxy acids, retinol, vitamin C and other botanicals can also help fade brown spots and prevent pigmentation reoccuring. Laser treatment with Picosure or IPL can have excellent results by clearing pigment from the skin with minimal downtime and will also rejuvenate the skin and improve sin texture and clarity.